The Howe Sound fjord and surroundings are one of the most stunning biomes in the world with glacier-capped peaks, a sparkling ocean, waterfalls, and wildlife galore. 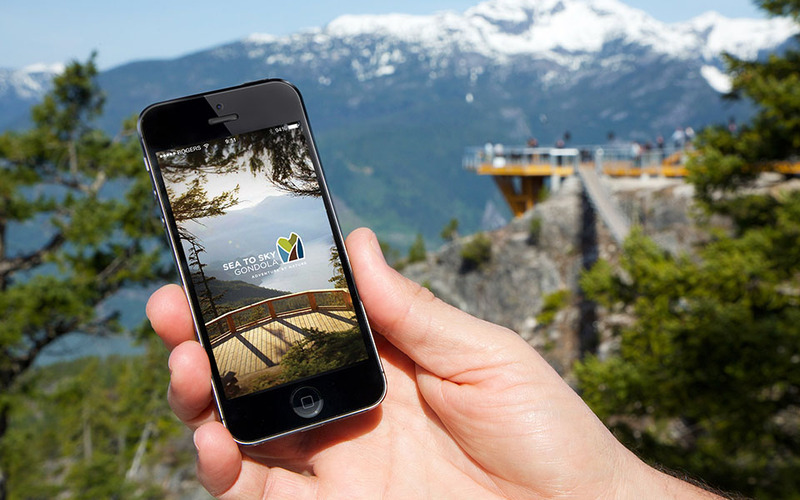 The Sea to Sky Gondola gives unprecedented access to this recreational gem. 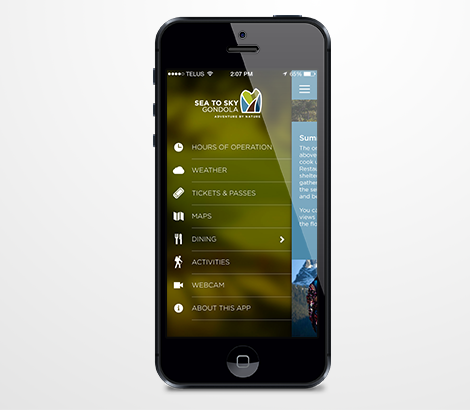 We created the Sea to Sky Gondola app to give visitors from around the world a GPS-enabled interactive guide to the many trails and activities to be found on the mountain. 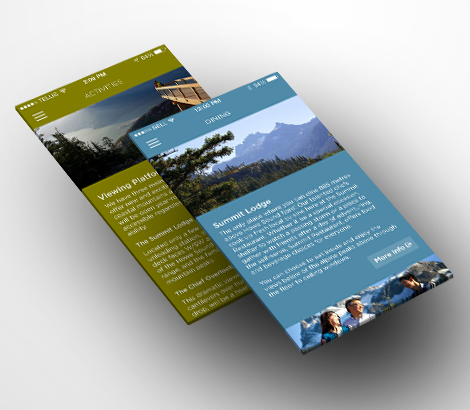 The app also features weather forecasts, live temperatures, and webcams.